The following is based on the instructions found here to install iMAME4all on a NON jailbroken iOS device. I have installed on iPad 2 and iPod touch. (although my iPod touch is over 3 years old and not really up to running the code, however iPad 2 runs without issues). As I have never developed an iOS application before I thought I would document my approach to installing iMAME4all on my iPad and Ipod touch. As I will be installing other projects onto my iPad I will cover all the obstacles/issues I had installing the iMAME project for future reference. First a warning: It will cost money to deploy any native (i.e. 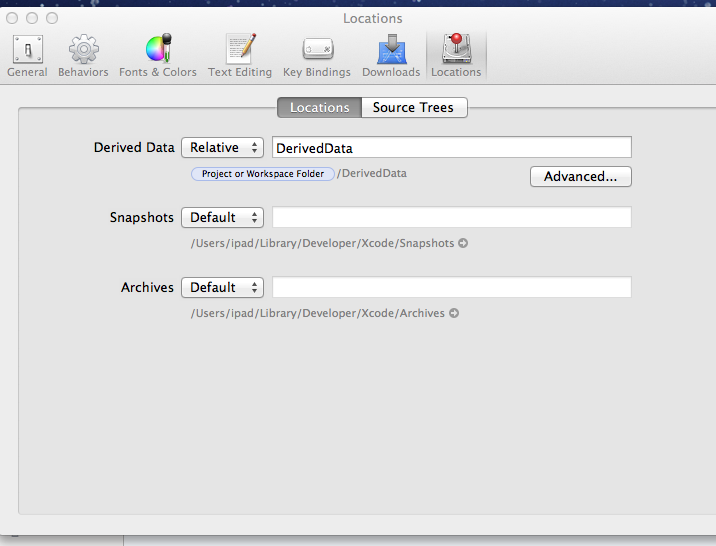 objective C code) application onto your own iOS device. 1) A Mac computer is required to develop for the ipad/ipod/iphone. I already have an iMac so that was free ;) for me. 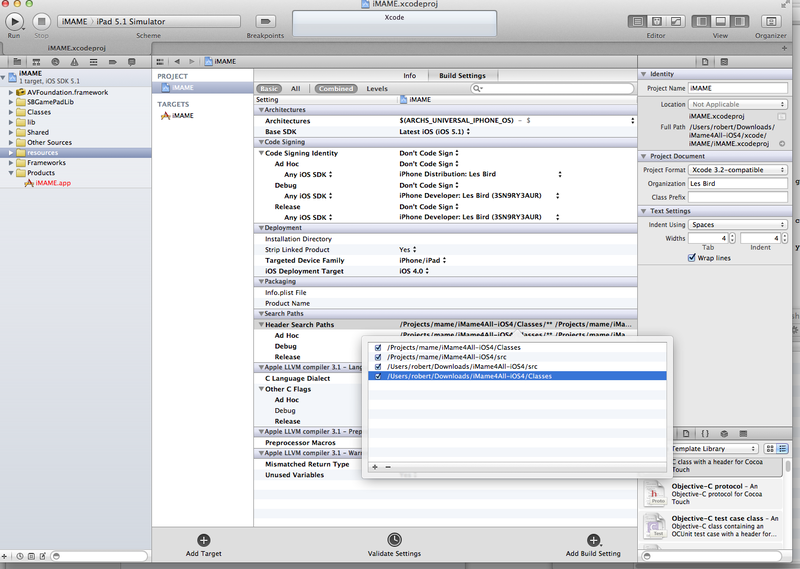 2) Mac OSX Lion is required for iOS devices running 5.1 with xCode. I did pay the upgrade fee for this as another application I use - iMovie -also required Lion as a prerequisite for the latest upgrade. 3) Apples iOS developer program. To deploy code to your own device! 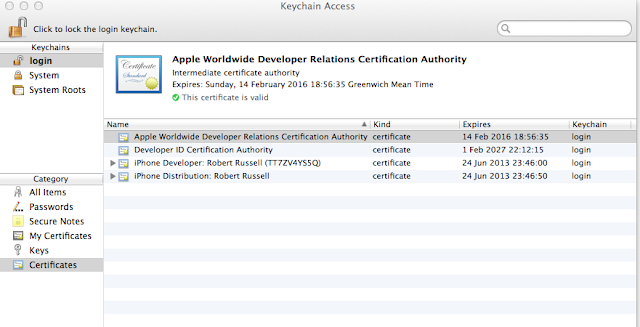 you need to join the apple developer program. I did spend some time trying to find a way to do this for free, however you can run code on a simulator for free but to actually run the code on the device you need to pay apple. 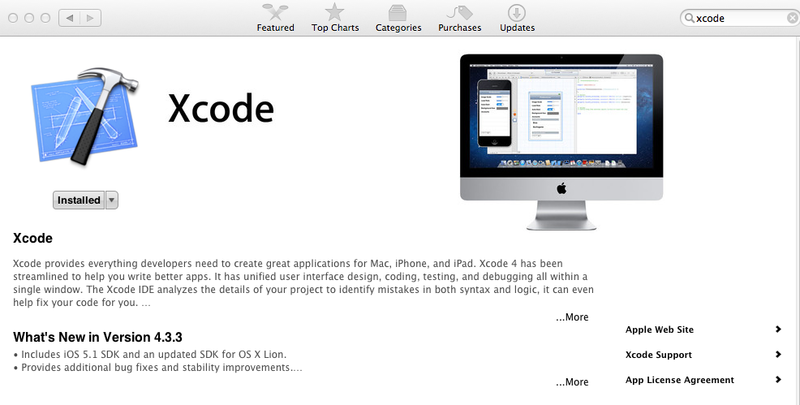 Install Xcode from the App Store this is straight forward with OSX Lion. 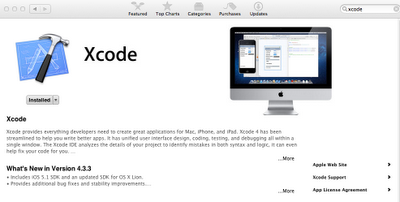 *First issue was that the actual code would not open and required adjusting Xcode preferences. 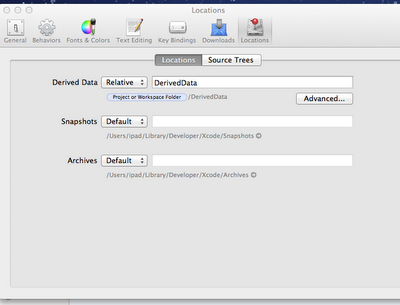 After selecting menu options Xcode->Prefrences I adjusted the following setting. My understanding of the instructions on the iMame4all page meant the following changes were made. The errors that led me to actual pay for a developer program. Note as per the instructions the code is built against the actual device and not the simulator. 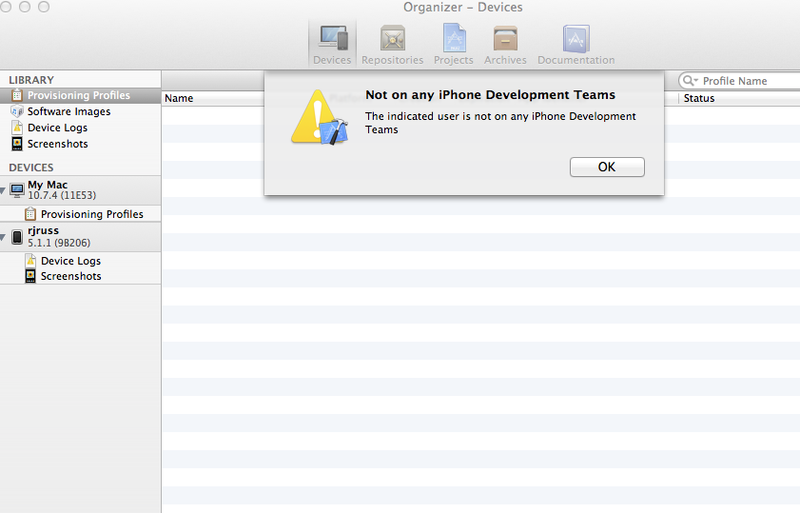 Attempting to bypass the code signing and provisioning profiles to get the code onto my iPad/Ipod failed. Some of the errors as below. I was not part of the iPhone development team and would like to think I am now I have paid Apple to join, although I will only be installing other Xcode projects not available on the App Store. 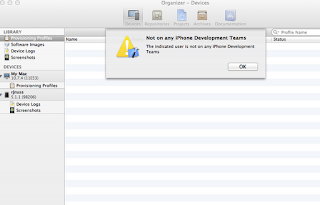 So a visit to the iOS dev center to get the right to deploy to my own device. The cost to me was 60 pounds for the iOS developer program in the U.K.
Attaching the iPod device and then submit requests for an iOS development certificate. The iPod traffic icon turn from orange above to green below and then export the developer profile. 2 new keychain entries proving I have the right to deploy to my OWN device. Building the iMAME project then works and I selected the "Always Allow" option below.